Event Description Price Center Theater, UC San Diego // MCASD and the University of California, San Diego have long collaborated to bring internationally acclaimed artists to San Diego through the annual Russell Lecture program. Known for her large scale photographs that break down the way we think about gender, sexuality, and seeing, LA-based multimedia artist Zackary Drucker has performed and exhibited her work internationally in museums, galleries, and film festivals including the Whitney Biennial 2014, MoMA PS1, Hammer Museum, Art Gallery of Ontario, SF MoMA, among others. Drucker is an Emmy-nominated Producer for the docu-series "This Is Me," as well as a Producer on Golden Globe and Emmy-winning "Transparent." // Image credit: Zackary Drucker and Amos Mac, Distance is where the heart is�#5, 2011, Digital pigment print�36x24 in (91.4 x�61 cm), Courtesy of the artist and Luis de Jesus Los Angeles. 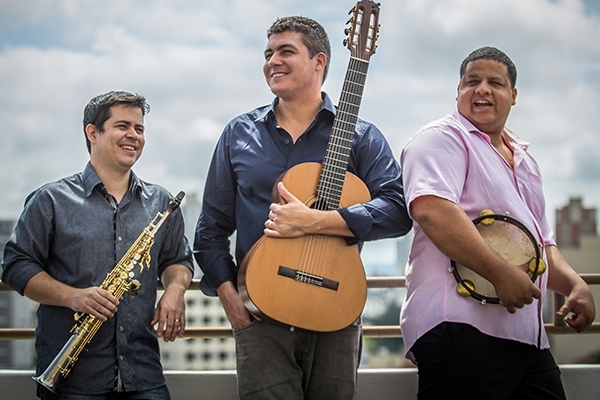 Event Description Enjoy the sounds of Brasil In Trio from Rio de Janeiro bringing the beauty of Brazilian instrumental music to the Golden Coast. Their repertoire is popular within a genre called Choro Music, but expect some Brazilian classics such as �Mas que nada� and �Girl from Ipanema.� Chefs from 333 Pacific will be crafting Brazilian-American fusion, with classics such as feijoada and churrasco, with plays on Brazilian ingredients such as caipirinha, marinated ceviche, and acai cheesecake bites, paired with specialty wines. Book premium seats at www.oma-online.org/music.